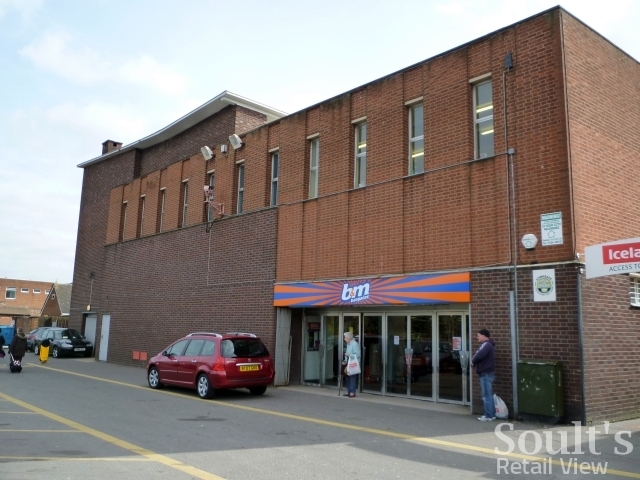 The more former Woolworths stores I blog about, the more predictable it gets that I’ll be mentioning now-familiar discount names such as B&M Bargains, Home Bargains, Poundland or Sports Direct. 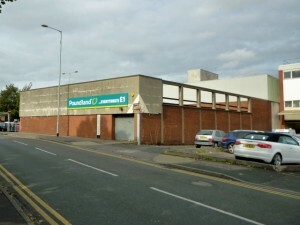 Previously in Staffordshire, I’ve reported on the new occupants of Tamworth’s old Woolworths stores in the town centre (now Home Bargains) and at Ventura Park, and twice visited the old Woolies in Burton’s Cooper’s Square mall – still empty when I returned last month. 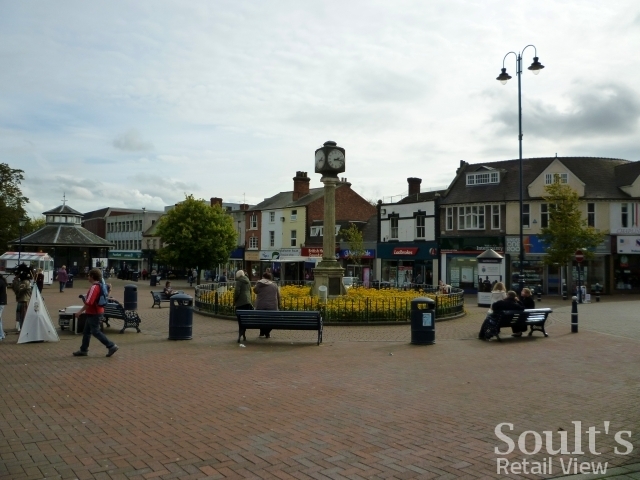 Back in September I was able to mop up a few more old Woolworths stores in Staffordshire, kicking off with the historic market town of Rugeley. Despite spending my childhood in Tamworth, barely 15 miles away, I’d never paid a proper visit to Rugeley before. 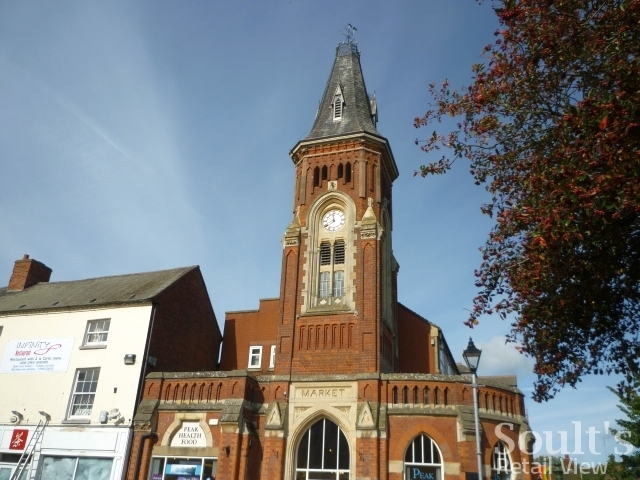 Though the dreary bus station barely leaves a good initial impression, Rugeley’s compact town centre is quite pleasant, with more interesting buildings – including the gorgeous old Market Hall – than you might expect. 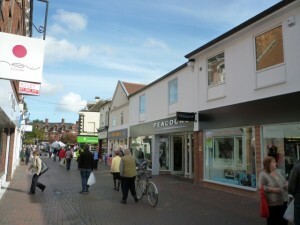 Rugeley’s old Woolworths in Lower Brook Street (store #586) – pictured here in its former guise – is right at the heart of the town centre, and has been occupied by the fashion retailer Peacocks since early last year. Up the road, shopping in the county town of Stafford is centred around the attractive, pedestrianised Gaolgate Street, where I was pleased to see a Co-op department store still going strong. Stafford’s Co-op is owned by the Midlands Co-operative Society, which is now the second largest retail Co-op in the country (after the Co-operative Group), and has maintained a significant non-food operation at the same time as other co-ops have closed down all their department stores. 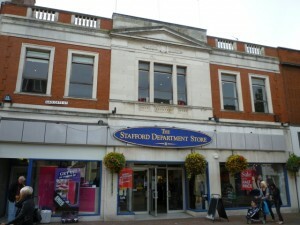 The Stafford store’s viability is surely helped by its prominent location, a ‘Stafford Department Store’ brand that cannily emphasises its localness (seemingly a Midland’s Co-op trait, as I noted previously that the Coalville store adopts a similar approach), and the absence of any department store competition in the town. 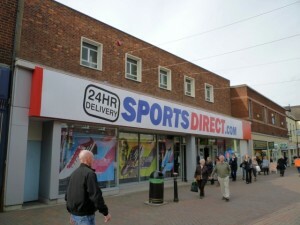 Though the nearby indoor mall – the Guildhall Shopping Centre – hosts more than 40 shops, I was struck by its curious lack of a major anchor store, the nearest thing being the large but oddly laid-out JJB store on the first floor. I know Debenhams is perhaps becoming too ubiquitous across the UK, but the Guildhall did feel to me like a shopping centre missing a Debenhams. 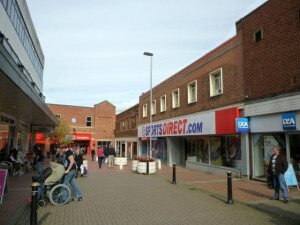 At the other end of the town, the open-air Gaolgate Place shopping precinct is very much based around a discount offer, and this is where Stafford’s former Woolworths (store #320) can be found. Sports Direct is the new occupant, though only on a short lease judging from the seemingly temporary signs stuck over the original Woolworths ones. 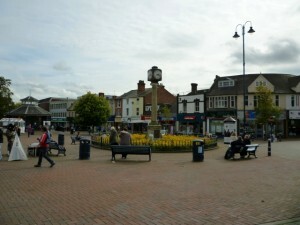 The nearby town of Cannock was another place that I’d never visited before. Though the part-covered Cannock Shopping Centre lacks character, I liked the busy and appealing Market Place, which had the feel of being the town’s real heart. 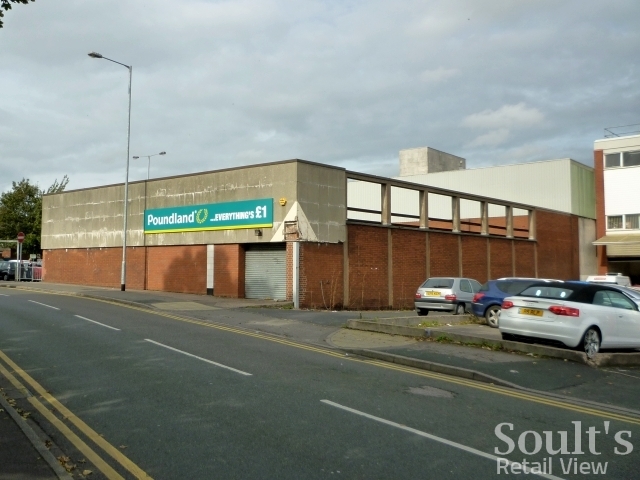 Facing the Market Place, Cannock’s old Woolies (store #609) is yet another site that has been picked up by Poundland. 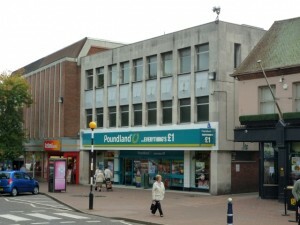 As in Scarborough, it seems [edit: according to the now-defunct Chase Post] that not everyone was happy about Poundland taking over one of the town’s largest units, though the one million sales reportedly registered in the shop’s first three months would seem to tell a different story. I previously mentioned Lichfield when the URL for Newcastle’s Monument Mall shopping centre was erroneously pointing at the site for Lichfield’s Three Spires. I’ve been to Lichfield many times before, and its very attractive city centre – packed with quaint streets and lovely buildings – always makes for an enjoyable visit. 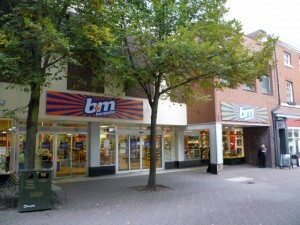 Unfortunately, Lichfield’s old Woolworths store (#376) is not one of the city centre’s most attractive buildings, but the arrival of B&M Bargains in 2009 at least ensured that it wasn’t empty for very long. The more modern Three Spires shopping centre houses Lichfield’s only department store, TJ Hughes, though the city is set to gain a Debenhams if the delayed Friarsgate development ever gets off the ground. The latest design changes to the £100m scheme – reflecting the “changing market conditions” – are set to go on show to the public later this month, which perhaps bodes well for work finally getting underway before the current expiration of the planning consent in December next year. In the coming months, any movement on mothballed retailed schemes such as Friarsgate will certainly be an important indicator of whether – and how quickly – the economy and the commercial property market is recovering after its last couple of years in the doldrums. 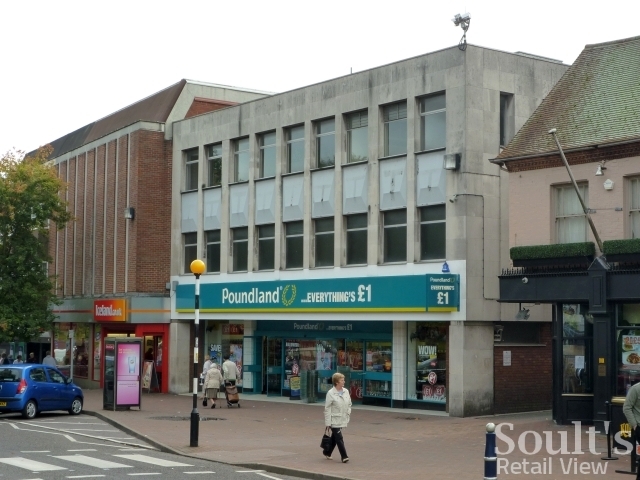 Next story Can anyone remember Ashbourne’s long-closed Woolworths? On your Friarsgate reference you have “£100” where presumably it should say “£100k” – otherwise, that’s a very cheap shopping development! It’s actually meant to be £100m – I’ve corrected it now! Soult's Retail View » B&M Bargains heads to Burton – but where next?